Docomomo International is proud to have collaborated on the following book: 100 Buildings 1900-2000. 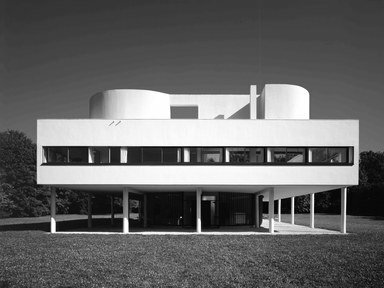 The twentieth century was a remarkable period in architectural history. Rivaling the transformative achievements of ancient Greece, the Gothic period the Renaissance, the twentieth century galvanized radical developments in building technology, architectural theory, and space that paralleled global revolutions in politics, economics, and social values. Knowledge of the twentieth century´s accomplishments is fundamentally critical for all students of architecture. More the 50 internationally renowned architects were asked to list the top 100 twentieth-century buildings they would teach to architecture students. The contributors were encouraged to select built projects where formal, special, technological and organizational concepts responded to dynamic historical, cultural, social, and political circumstances. The capacity of these buildings to resist, adapt, and invent new typologies solidifies their timeless relevance to future challenges. The result is a master list of the top 100 “must-know” built works of architecture designed and completed between 1900 and 2000. For this volume, over forty internationally renowned architects and educators—from Peter Eisenman and the late Zaha Hadid to Rafael Moneo and Cesar Pelli—were asked to list the top 100 twentieth-century architectural projects they would teach to students. The contributors were encouraged to select built projects where formal, spatial, technological, and organizational concepts responded to dynamic historical, cultural, social, and political circumstances. The capacity of these buildings to resist, adapt, and invent new typologies solidifies their timeless relevance to future challenges. Thom Mayne is a Pritzker Prize–winning American architect and educator, who founded the interdisciplinary architecture and urban design firm mOrphosis in 1972. He is the cofounder and executive director of the Now Institute and currently distinguished professor at UCLA’s Architecture and Urban Design. Eui-Sung Yi is design principal at Morphosis and director of the Now Institute at UCLA. The Now Institute is an urban research center at UCLA Architecture and Urban Design that applies strategic interdisciplinary thinking to real-world issues. Val Warke has been published in a number of journals, including Assemblage, A+U, Cornell Journal of Architecture, and the Harvard Design Magazine, as well as many essays and texts on the work of Morphosis. He teaches in the areas of design (architectural and urban) and architectural theory.